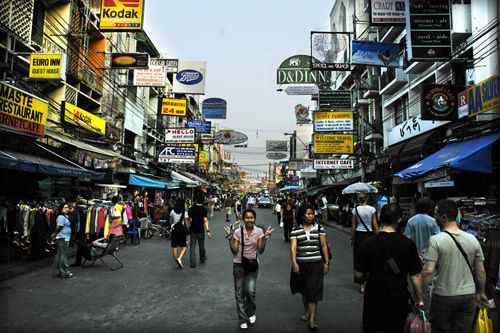 Koh San Road… Bangkok… Thailand… This is the place where backpackers themselves are the attraction. Koh San Road is hated and loved by travelers as it brings out the best and the worst in the traveling culture. Either you love it or you hate it. But don’t make the mistake of not giving it a try. Koh San Rd cannot and should not be avoided. It is an experience in itself. Ohhh my… He is NOT sinking!